Old Katama General Store building will be replaced with new, larger building for summer 2017 season. 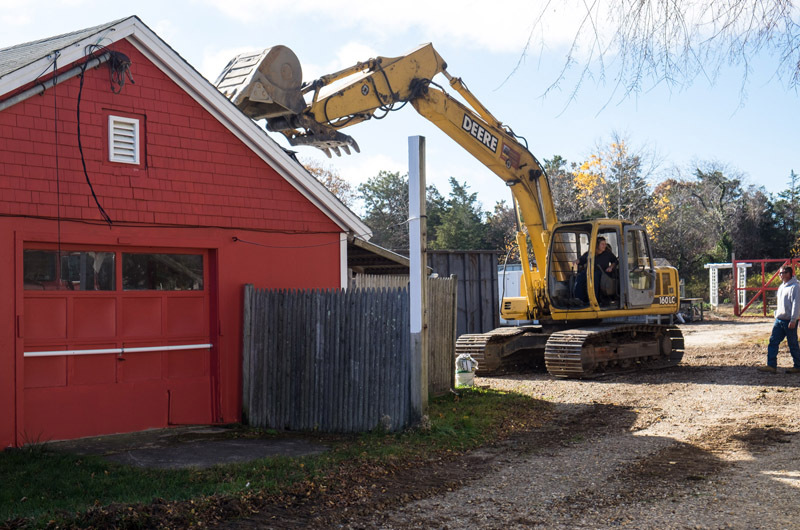 The Katama General Store’s off-season make-over got underway Friday as the one-story red building on Katama Road was demolished. Owners Doug and Jackie Korell plan to replace the old building, built in 1958, with a two story, 3,000-square-foot building and a reconfigured parking lot. Plans for the renovation were approved earlier this year by local boards, and the Korells plan to have the new building completed in time for the summer 2017 season. 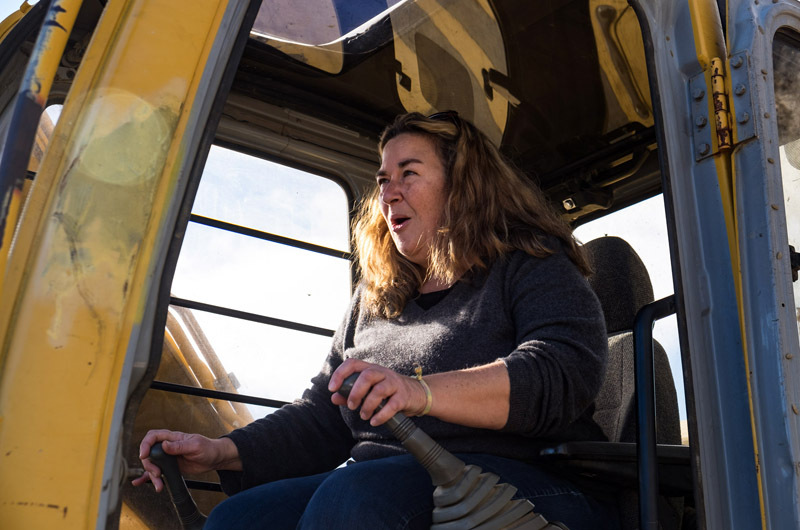 On Friday morning Mrs. Korell took a turn behind the wheel of the backhoe that was tearing down the old store. The building originally housed a laundromat, and then became Vineyard Farm and Feed. The Korells started renting the space for their general store about a decade ago before buying it in 2012. The Korells have said the new building will allow space for storage and offices, and also include important new features like air conditioning. The store’s inventory of prepared foods, snacks, candy and toys will not be changed, to the relief of customers headed to South Beach. 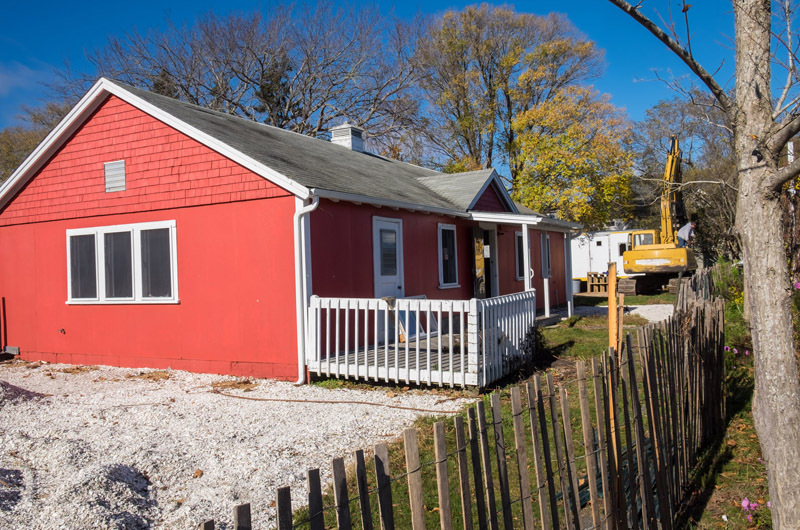 Sad to see the sweet little red building go:( looking forward to summer 2017!